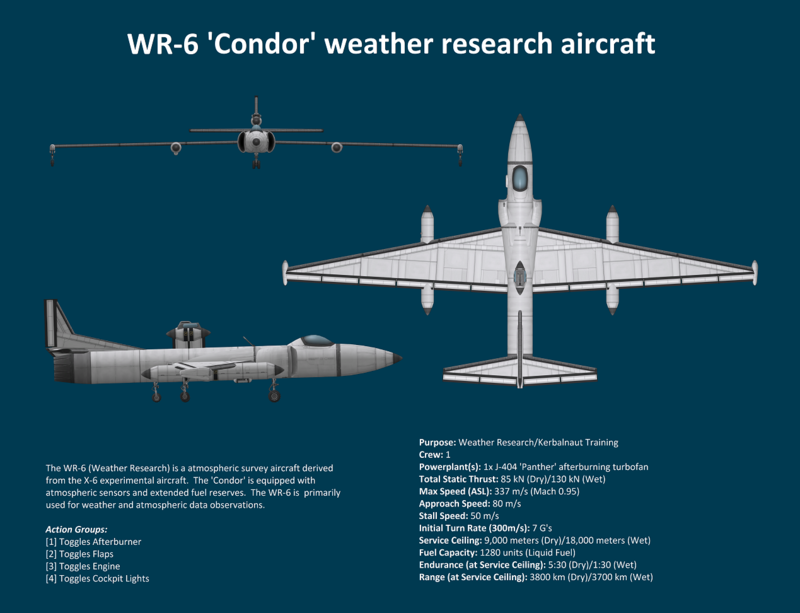 The WR-6 (Weather Research) is a atmospheric survey aircraft derived from the X-6 experimental aircraft. The ‘Condor’ is equipped with atmospheric sensors and extended fuel reserves. The WR-6 is primarily used for weather and atmospheric data observations.